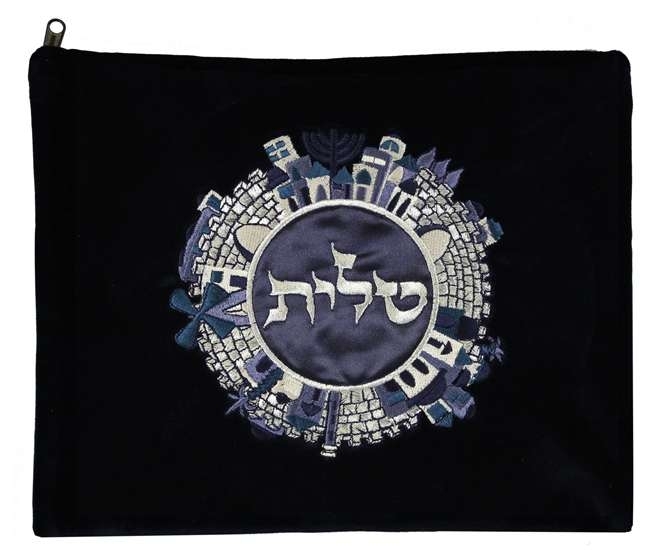 This tallis bag is designed to capture the spirit of Jerusalem in a fascinating fashion. The City of Jerusalem skyline is arranged around the outer circle with the Hebrew word “Tallit” embroidered in an elegant font in the center. This tallis bag is unique and perfect for those who hold the Holy City of Jerusalem dear. This item is available in a matching tefillin bag. To view and purchase this item click here Jerusalem Tefillin Bag.